GMC vehicles equate with comfort and power. Your GMC experts for auto repair are the home team of highly qualified and experienced auto mechanics at Truckee’s Quality Automotive and Smog. 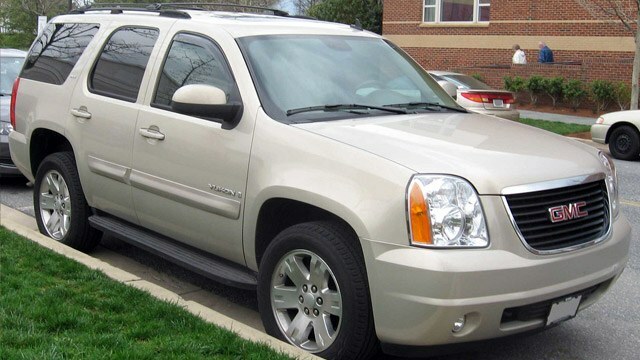 GMC is the gold standard of SUVs and trucks manufactured by General Motors. It’s the opinion of this shop owner that fit and finish of GMC vehicles are unmatched by any other manufacturer. GMC is a name you can trust with beautiful designs, strength, and reliability, and these are just a few reasons why Truckee locals chose GMC automobiles. Folks in Truckee love an outdoor lifestyle and demand a reliable vehicle to take them where they need to go. As you’re planning your next adventure, expect on a visit to the best local repair shop, Quality Automotive and Smog. Whether your GMC is an SUV, a truck, diesel, van, or a utility vehicle, Quality Automotive and Smog offers you the best GMC service and maintenance in Truckee. “Prompt service. Quality waiting area. Time quote right on.” -- Bill & Anna C.
You will not find a more qualified, honest, and friendly auto repair shop than Quality Automotive and Smog in Truckee. Whether you live in Tahoe City, North Lake Tahoe, Kings Beach, Carnelian Bay, or beyond, we are your home team for all things GMC auto repair and service. We are loyal to our customers and encourage you to take advantage of our ServicePlus Red Check program that includes an extended warranty, free local towing, seasonal benefits, and a dividend program. We are conveniently located at 11500 Donner Pass Rd, Unit D, Truckee, CA 96161. It’s easy to find us, and it is easy to find a good cup of coffee, food, or a new pair of skis/bike nearby while we work on your car. In the summer, you may consider borrowing our electric bike to tour Donner Lake while you wait. Open Monday - Friday from 8:00 AM - 5:00 PM, and closed from noon to 1 PM. Request your appointment online today!